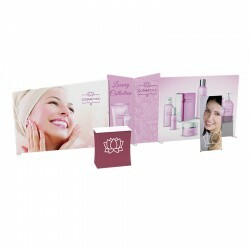 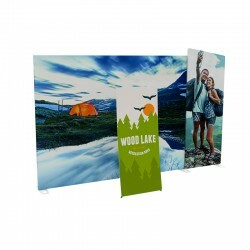 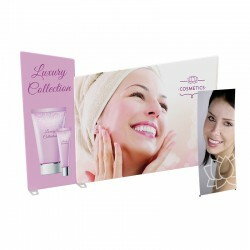 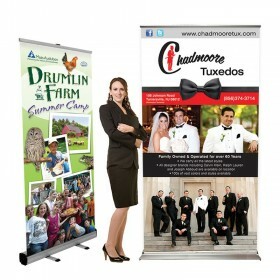 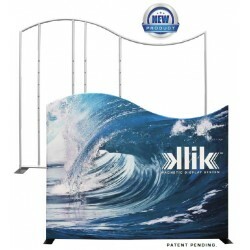 Standard Klik display kit includes 10ft aluminum tubular frame - shape of your choice, Klik vertical magnetic accessory frame bars, Full color dye sublimation pillowcase zippered graphic. 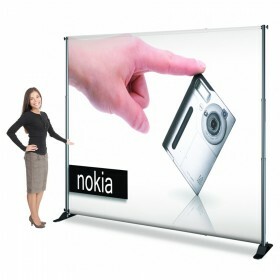 Set-up size: 10ft x 8ft. 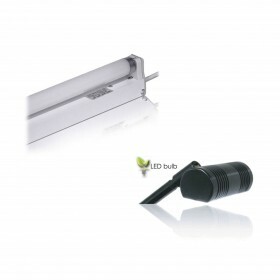 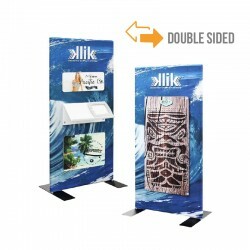 The Klik Display System is the ultimate in flexibility and visual impact. 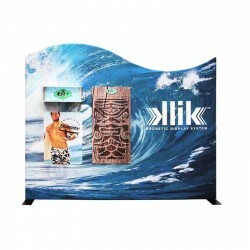 This Klik tension fabric display is a 10ft tubular display system utilizing a built-in magnetic grid system allowing you to display a variety of removable graphics, peg boards, shelving and even an iPad holder. 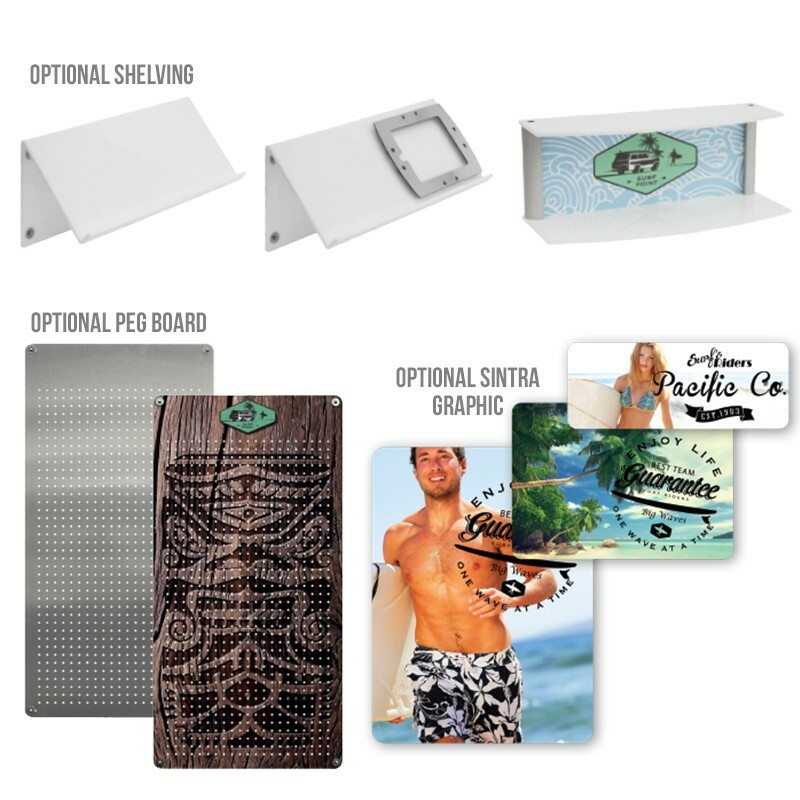 It's unique magnetic mounting bars allows you to switch layouts whenever you feel like it. 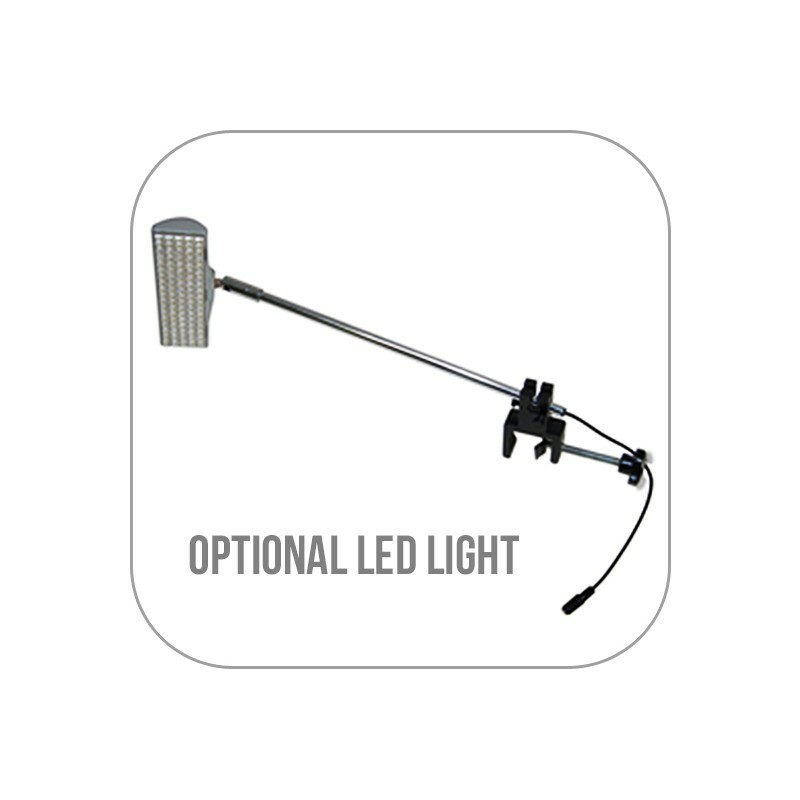 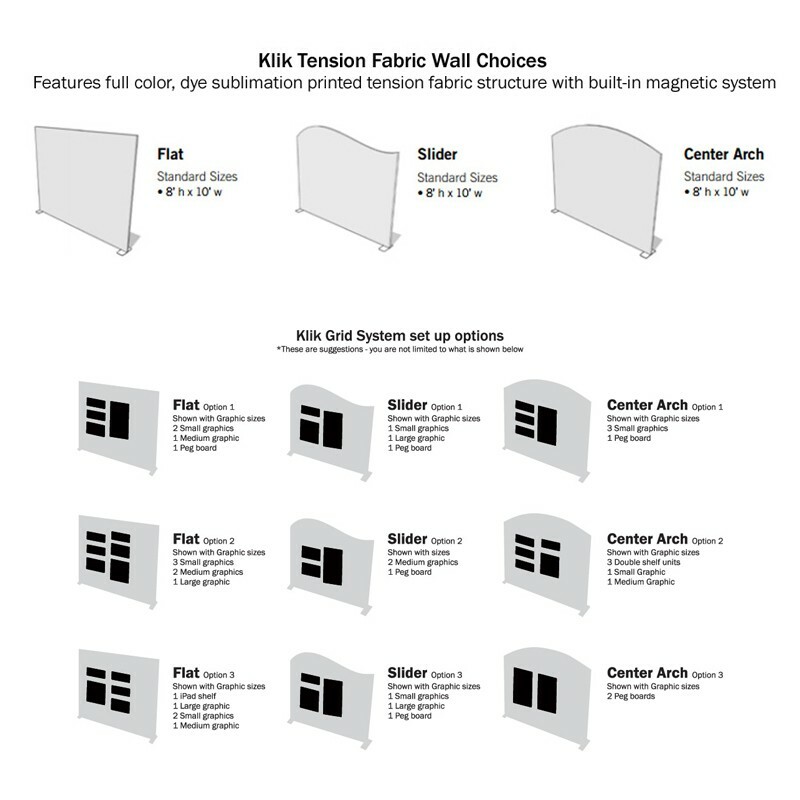 These powerful magnets are the core of the Klik displaying system allowing each accessory piece to be automatically aligned perfectly every time. 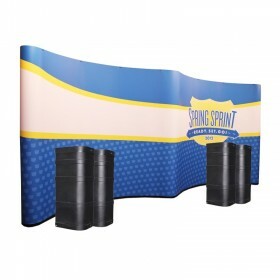 Each magnetic vertical bar is spaced at 23" wide allowing you to place a certain amount of magnetic graphics or shelving options within a set of bars. 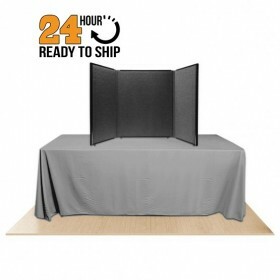 Best of all, there are no holes anywhere in your fabric - ever! 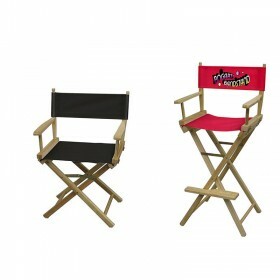 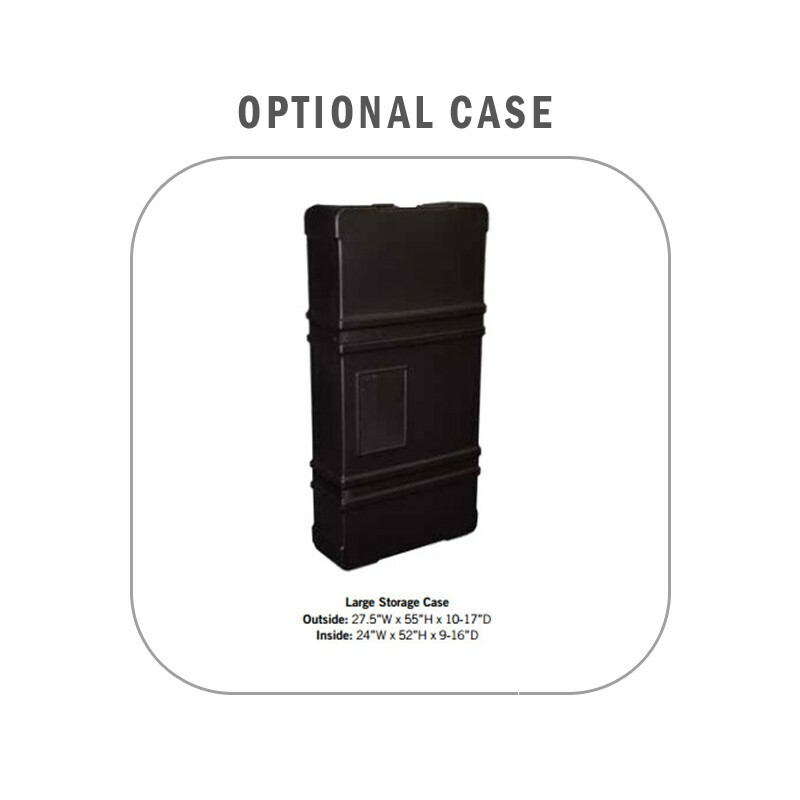 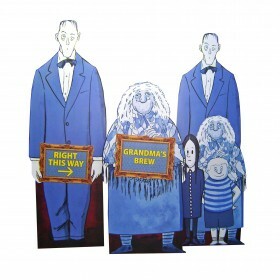 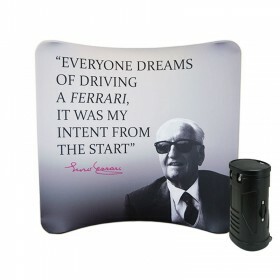 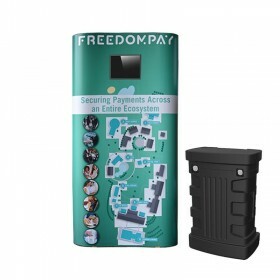 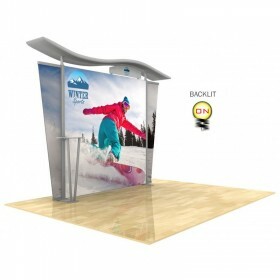 You can choose the backwall shape that best fits your brand either the slider, center arch or the flat backwall shape. 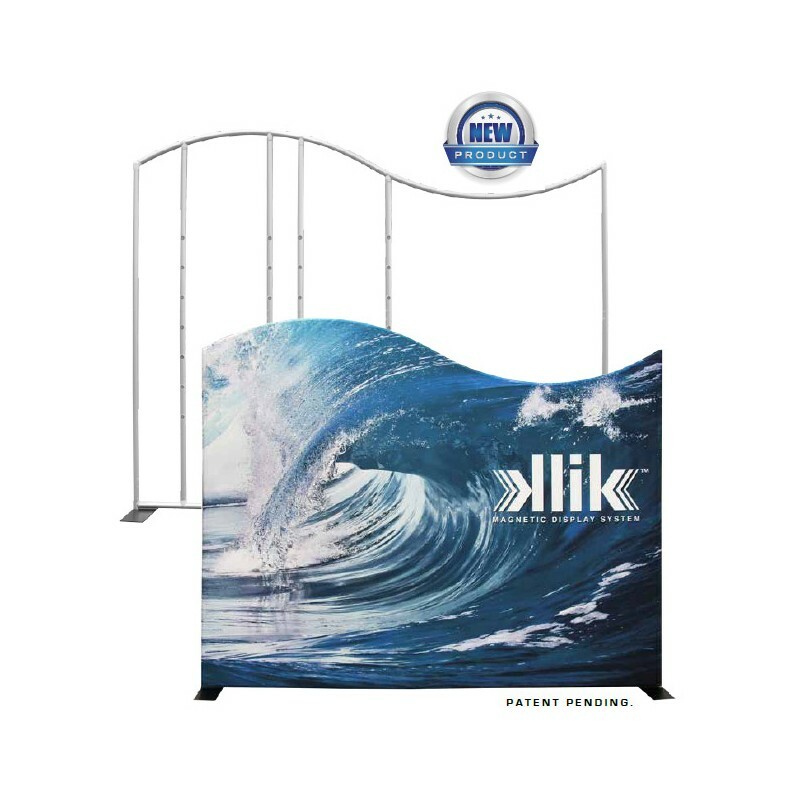 The Klik tension fabric display system is the perfect solution for displaying products in a trade show or exhibiting environments. 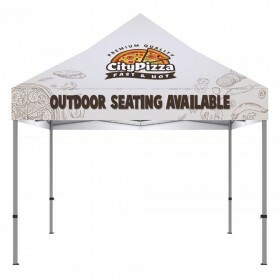 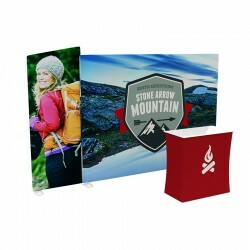 The lightweight interior aluminum tubular frames and high quality custom printed full color dye sublimated tension fabric graphics are incredibly easy to set up and travel with! 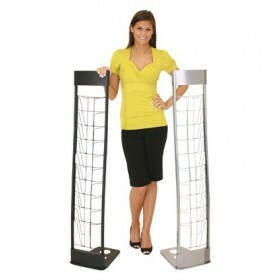 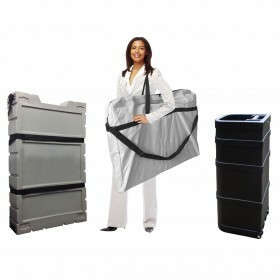 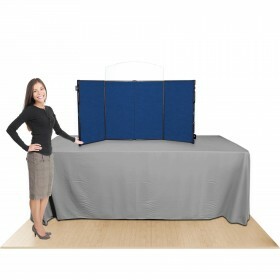 CHECK OUT the videos below to see for yourself how this unit is unlike any other fabric tension system available today. 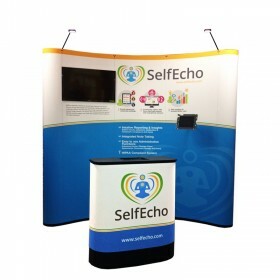 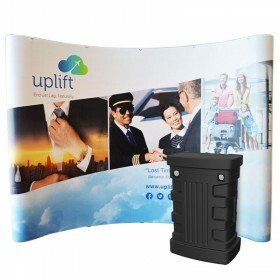 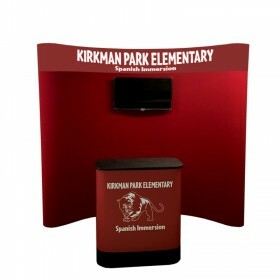 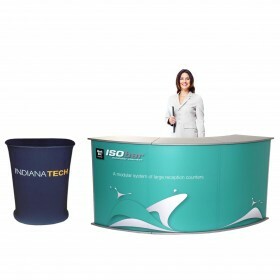 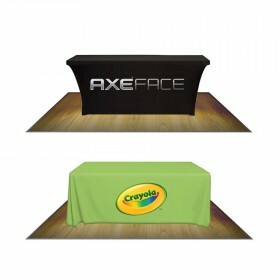 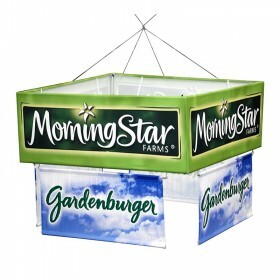 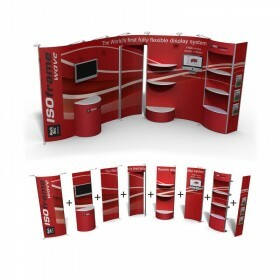 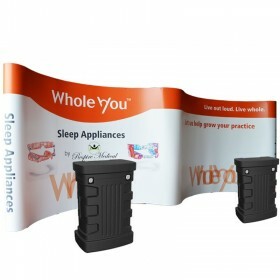 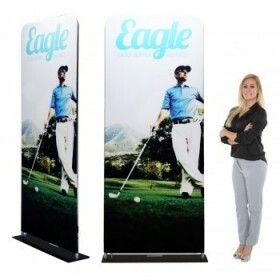 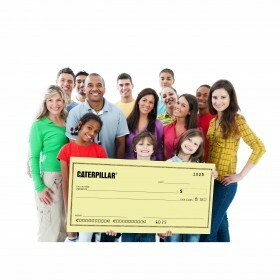 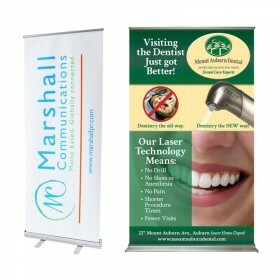 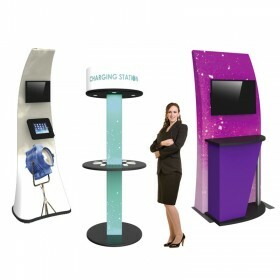 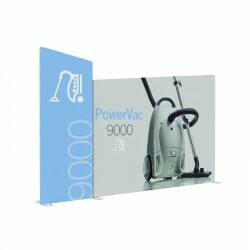 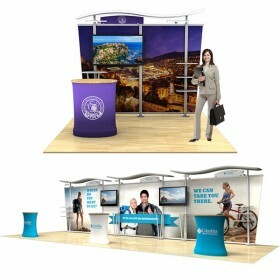 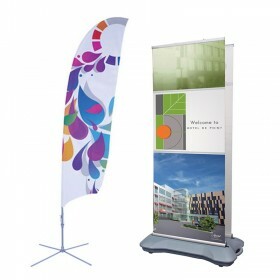 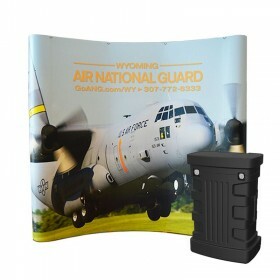 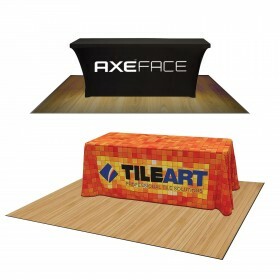 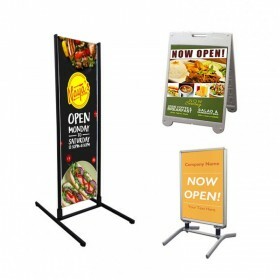 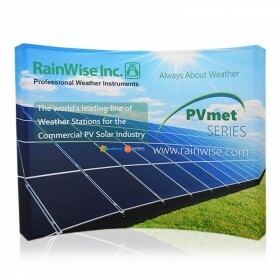 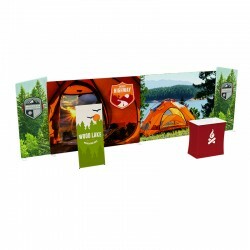 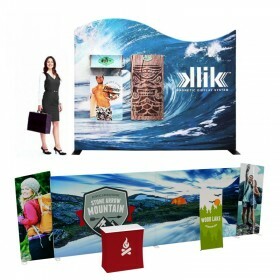 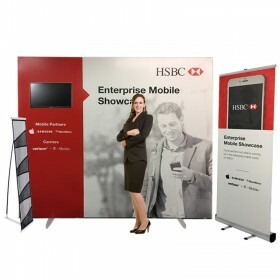 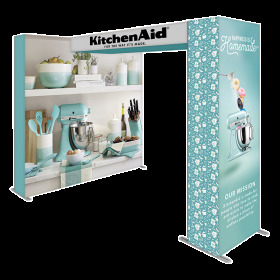 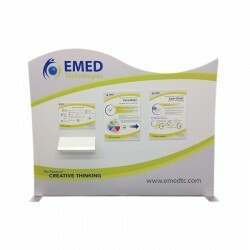 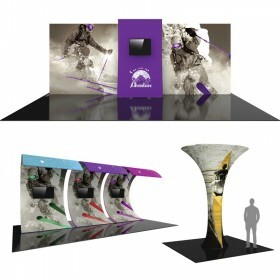 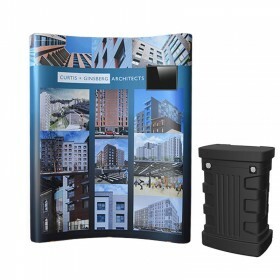 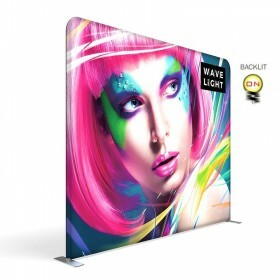 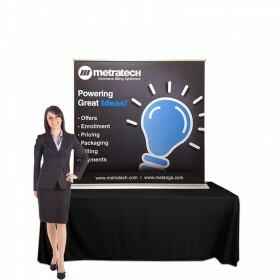 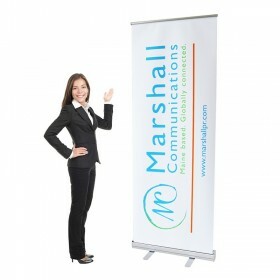 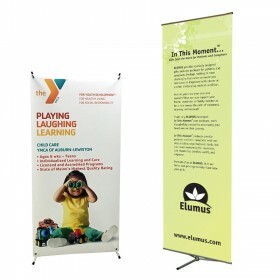 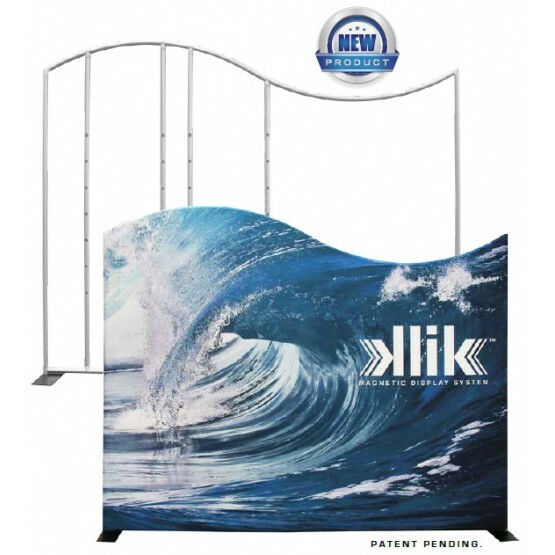 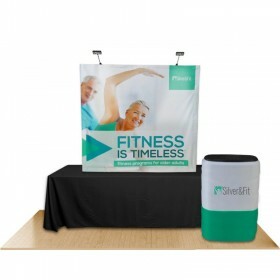 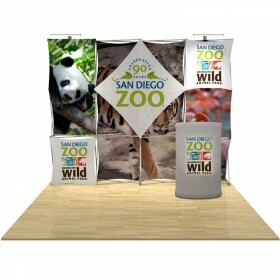 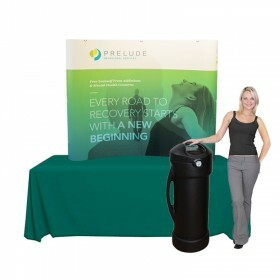 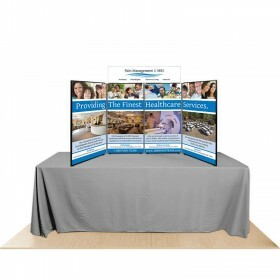 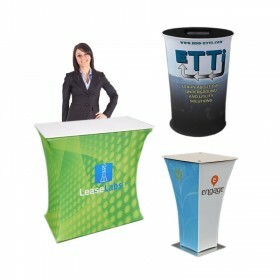 Make the Klik magnetic tension fabric display a part of your trade show booth layout today.